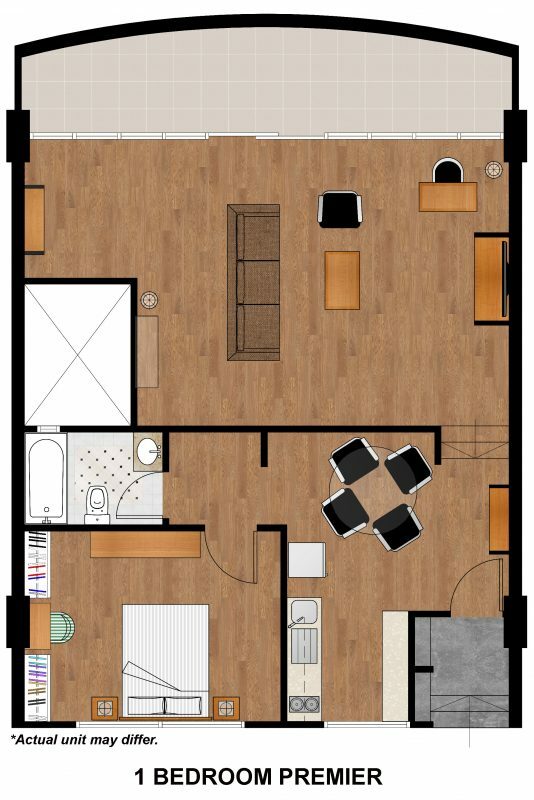 Spacious and airy, the 1-Bedroom Premier has ample space to comfortably accommodate up to three guests. The apartment comes with a queen-size bed, a fully equipped kitchen, complimentary Wi-Fi connectivity and daily housekeeping services. With 1,000 sq ft at your disposal, experience rest and relaxation when you wake up after a long day of exploration in the big city.